Hello, I am a daisy Girl Scout leader and we are working on one of our Journeys and Native Plants Patch Program which requires our group of 5-6 year old girls to plant and care for a mini-garden. To earn both patches we need to locate a flower or small plant that can be started from seed, can easily be purchased, and is native to our state or local community (Texarkana, TX/AR). We will be keeping the small garden indoors until spring but wish to start planting in January. Do you have any plant recommendations? A good place to look for a suitable flower or flowers for your project is in our Arkansas Recommended list. This is a list of commercially available native plants suitable for landscaping projects in your state. I looked through the list of 130 possibilities and checked, especially, the sections labeled BENEFIT and PROPAGATION. It seemed to me a good idea to choose plants that had benefits for butterflies, bees and birds as well as just for their beauty and ease of growing. As you go through this list you will note that for some plants (see under the PROPAGATION section and the heading Seed Treatment) it is indicated that for best germination their seeds require a period of cold stratification. You may or may not have an adequate period of time to do this stratification; therefore, the four plants that I recommend below don't require seed treatment prior to sowing and they all are beneficial to insects and/or birds. Asclepias tuberosa (Butterflyweed) This is an especially important plant for monarch and queen butterfly larvae. 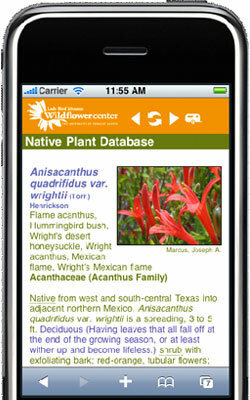 Here is the propagation protocol from the Native Plants Network and from Monarch Watch. Monarda fistulosa (Wild bergamot) Here is the propagation protocol from the Native Plants Network and Plants for a Future. Achillea millefolium (Common yarrow) Here is the propagation protocol from the Native Plants Network and Plants for a Future. Coreopsis tinctoria (Plains coreopsis) Here is the propagation protocol from the Native Plants Network and from Cornell University. Be sure to check the FIND SEED OR PLANTS section on the species page for reliable seed sources. Stump sprouting of Oak trees in the wildfire area in Bastrop, TX. February 14, 2014 - Where is the best place to find wildflowers for picking near or in Austin around the end of March? March 14, 2009 - How to propagate cedar cuttings to form a hedge?